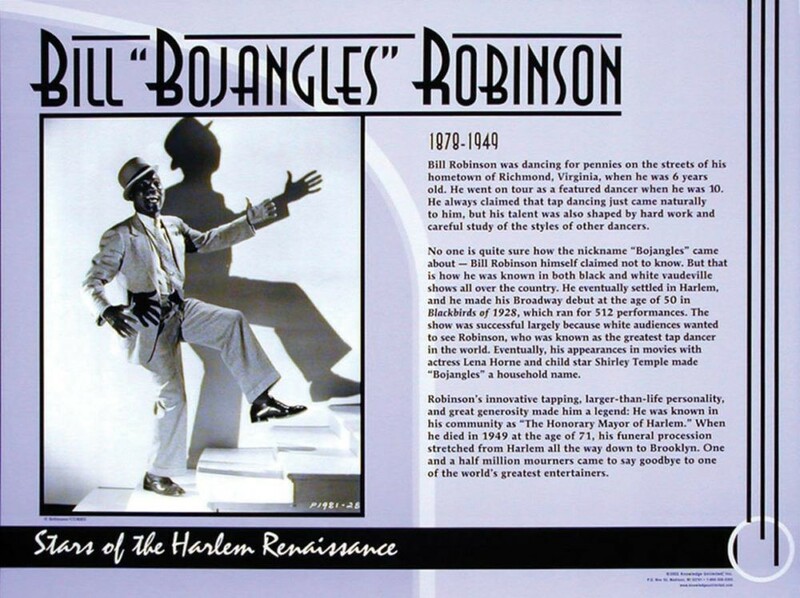 This educational poster features a large photo image and biographical text of the great African American dancer Bill "Bo Jangles" Robinson. 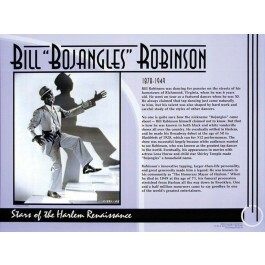 Robinson's innovative tap dancing and great personality made him a star on Broadway and in the movies. When he died in 1949, one and a half million mourners came to say goodbye to one of the world's great entertainers. This poster is a great way to introduce students to one of the great stars of the Harlem Renaissance, whose influence on dance is still felt today.